THE DAY that Greenwich Council's propaganda newspaper, Greenwich Time, announced the BRILLIANT news that this is to become a royal borough, it seemed only right to put a picture of the monarch on the front page. No, silly, not that absurd interloper, the Queen. She was rightly relegated to page 3. Page 1 was reserved for the traditional anvil-jawed photo of our very own age-old symbol of pomp and majesty, council leader Chris Roberts. "Residents, businesses and the millions of visitors to Greenwich will share in our delight at this wonderful news," said King Chris (note the use of the royal we.) That issue was billed as a "souvenir edition." 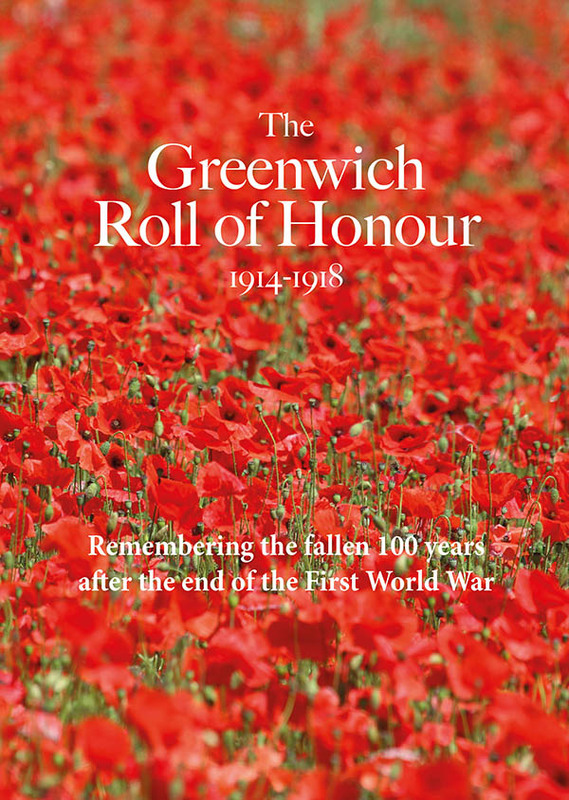 But for Mr Roberts, every edition of Greenwich Time is a souvenir! Inspired by a discussion this week on greenwich.co.uk, I went through some recent back numbers of South London's very own Court Circular, to see just how many times Mr Roberts and his Labour chums have been puffing themselves at our expense. And the results from the international jury are now in. Total number of mentions of Labour politicians: 98. Total number of mentions of non-Labour politicians: 0. Total number of pictures of Labour politicians: 29. Total number of pictures of non-Labour politicians: 0. Other very special Greenwich Time stars include Greenwich West's own Maureen O'Mara - who must, on this tally, be a bit worried about holding her seat - and John Fahy, never pictured without a shovel in his hand. And we mustn't forget Nick Raynsford MP. He might be hard to find on the streets of Greenwich, but he makes up for it in Greenwich Time. Lib Dems? Tories? Greens? You what? There isn't space here for a full list of all the Pravda-esque inanities of "the newspaper campaigning for a greater Greenwich," but the one that made me laugh the loudest was the fearless scrutiny by one Nick Day of the council's response to this winter's snow. "The extended spell of severe weather must have been testing the council's resources to breaking point," wrote Mr Day. "I've been frankly amazed at the impressive response...I've often been quick to hold the council to account, so I must be equally quick to praise the grit (sorry!) and determination that officers and workers have been applying to their immense task." You certainly should be sorry, Nick. Actually, I seem to remember that there was relatively little snow in south-east London by comparison with the rest of the country, and what there was was not cleared conspicuously effectively in Greenwich. Some stories have been so good that Greenwich Time did them twice - like the one on falling bus crime and burglary figures, front-paged on both the 5th and 19th January ("Making you much SAFER") and based on a possibly dodgy comparison. The shortage of space created by the repetition of such stories was no doubt why other news - like the excoriation of Greenwich's social services as "shocking," "arrogant" and "very poor" by a High Court judge - never made it into Greenwich Time. My tally of councillor and MP mentions, by the way, covers less than three months' worth of Greenwich Time, between 5 Jan and 23 March. Some vestigial respect for democratic decencies (or more likely the fear of court action for breaking electoral law) has kept the politicians out of the paper over the last month. But, even during the election campaign, Greenwich Time has found a sneaky way to push the Labour message. The front page of the April 13 edition ("Spring in our step... Local businesses crack on despite the credit crunch") told everyone that the "green shoots" of recovery were back: "Confidence [in Greenwich businesses] is growing by the day... There is a realisation that they have survived the abyss... Some businesses have sadly disappeared, but far fewer than may have been feared," wrote the chair of the local chamber of commerce. In the 1950s, as part of some dastardly imperial plot against the French, civil servants of the Colonial Office successfully persuaded the people of the Pacific island of Tanna to worship Prince Philip as a god. Portraits of the deity still hang in many a grass hut. Mr Roberts is clearly trying the same trick with what he believes to be the simple, credulous people of Greenwich. In me and others, the sheer clumsiness of the operation has had the opposite effect - making me automatically mistrust everything the council does, even if it is worthwhile. The Tories are promising, if elected to the council, to close down Greenwich Time, which sounds like a good idea. This ridiculous apology for a newspaper has become the prime symbol of a council that treats its citizens like idiots. As a revelation, I know the following will rank alongside the religion of the Pope and the sanitary habits of bears in woods. But Greenwich Council has not been straight with us. They promised to give three months' notice of the dates when the foot tunnels would be closed. In fact, they gave eleven days. The closure - between 9pm and 6am weekdays in Greenwich, and between 6.30am and 8pm weekdays in Woolwich - was announced on April 8. It took effect this Monday, April 19. I particularly enjoyed the council's claim that "alternative crossing arrangements have been made to reduce the impact of these closures." No new crossing arrangements have been made. The only alternatives are those which already existed - the erratic Woolwich ferry, and the Thames Clipper riverbus between Masthouse Terrace and Greenwich piers. The last departure on the latter is at 11.18pm northbound, and 12.37 southbound. There is also the DLR, but that shuts before 1am too, and does not carry cyclists, a big component of the tunnel's users. There will be no way at all of crossing the river at Greenwich for more than five hours. And I mean no way. To add to the pain, this week it emerged that "Transport for Livingstone" is further extending its highly controversial closures of the Blackwall Tunnel. The tunnel is already closed to southbound traffic between 9pm and 5am, five nights a week, and between 1am and 8am on Sundays. Now, it will be closed the entire rest of the weekends, too. The exact number of weekends is still to be announced. Who knows, maybe it'll be all of them! The closures will run continuously from 9pm on Friday to 5am on Monday, meaning that this vitally important tunnel will spend more hours in the week closed than it spends open. The next step, no doubt, will be the arrival of men in white boiler-suits and gas-masks to seal Greenwich off with giant plastic sheeting, like in the film Outbreak. The Blackwall closures will last until 2012 and the foot tunnel a fair while, too. Last year one faithful Labour blogger, with a reliable record of being wrong about most things, bought the council's spin that the foot tunnel closures would be "short." The shutdowns will, in fact, last for at least eleven months - even longer than I predicted. And it was only sustained pressure from Greenwich Cyclists and others, including this column, that persuaded the council to keep the Greenwich tunnel open at all during the day. Woolwich users, lacking the same voice, have been stuffed. Despite the damage limitation exercise we managed to do, the whole foot tunnel project still makes me very angry. It symbolises, on a local scale, our rulers' addiction to spending money we do not have on things that we do not need. For the £11.5 million the project is costing us, we get not just months of disruption, but a finished facility in some ways significantly worse than before. The claimed objectives of the refurb include “improved safety” and a “more welcoming environment.” The council's own study showed that the main deterrent to use of the tunnels was that people felt unsafe using them, especially at night. But this project will see the lifts permanently de-staffed and all human presence removed. For £11.5 million, we could afford to double-staff both tunnels, with a lift operator or security guard at each end, 24 hours a day, seven days a week, for the next 23 years. That might be worth spending money on. It would even create a few jobs, as well as improved "safety and welcoming." Instead, at Greenwich, our money is paying for "feature lighting" to “allow colour and animation to be subtly manipulated to create different moods at different times of the day." This will provide “the infrastructure for contemporary art installations so that the tunnels can contribute to cultural life in the locality.” Walking through the tunnel will become "an event in itself." Let's hope the event's not a mugging, eh? DURING THE election period, the usual weekly picture of Chris Roberts, Greenwich Council's wise and beneficient leader, has temporarily disappeared from Greenwich Time. But at least he has something else to keep him happy. Today, I can reveal that Mr Roberts has become possibly the highest-paid council leader in Britain, collecting the attractive sum of £1,750 an hour from the public purse for his services. Mr Roberts is an executive member of London Councils, the umbrella body for the 32 London boroughs. He doesn't like London Councils much - he's pulling Greenwich out of it to save a few quid in affiliation fees. But he is happy to take the £10,499 a year paid to executive members for turning up to its meetings - except, alas, that he doesn't turn up much of the time. In the four years since the last elections, Mr Roberts has attended only 18 out of 32 meetings. In the most recent financial year, he has attended three out of five, making a total payment for each meeting he's been to of £3,500. The meetings last about two hours, so the hourly rate is something equivalent to a City lawyer's. Nor is Mr Roberts the only person at the council to enjoy unusual rewards for his services. Tucked away on the council website, I found a fascinating report about council officers' use during 2009 of the authority's sponsored hospitality suite at the O2. Greenwich taxpayers pay £100,000 a year for this private box, with its ringside seat at many of the arena's top events. "Officers," says the report, "host the suite for most events to ensure that all guests understand how the suite operates... officers have been recruited from across the council to form a pool of volunteer hosts." According to the report, the shows seen for free by Greenwich Council officers in their private hospitality suite included Metallica, Simply Red, Lionel Ritchie, AC/DC, Russell Brand, Bob Dylan, Tina Turner, Beyonce, Britney Spears, Kings of Leon, Boyzone, Madonna, James Taylor, and Pearl Jam. They particularly liked Britney - council officers went to see her ten times. Beyonce, another favourite, scored four and Kings of Leon three. There were also numerous performances of Walking with Dinosaurs and Ben Hur Live. Tickets for these events, if the taxpayer was not providing, would cost up to £110 each. "Feedback from guests continues to be overwhelmingly positive," the report adds. You don't say! In theory, the money for the officers is recouped by selling tickets to Greenwich Card holders - but the report shows that for the latest quarter given, June-September 2009, there's a substantial shortfall. I mention all this because in the upcoming election, the case against Greenwich Council is simple. It's that they are obsessed with flashy irrelevancies at the expense of anything important. The borough's schools have long been second-rate. Only this week, the council's social services department took an absolute hammering from a High Court judge. Lord Justice Wall, the new head of the Family Division, described Greenwich social workers as "shocking," "arrogant" and "very poor." But instead of tackling these problems, or anything else that really matters, the council is transfixed by a series of sideshows: the Olympics, Royal Borough status, and endless attempts to fuss and meddle with things, such as the foot tunnels, that are pretty much all right as they are. The Olympic horseriding will not educate a single child, fund a single social worker or create a single permanent job. It will almost certainly cost jobs, crippling the area's tourist economy for a whole summer, and damaging the park for much longer, if not permanently. I have genuinely tried to understand what the councillors see in these things, what they imagine is in it for Greenwich. With some reluctance, I've been forced to conclude that it's the junkets. The Royal Borough thing has already been "celebrated" with a slap-up banquet in the Painted Hall. The Olympics have generated lovely air-miles in trips to Beijing. Endless quantities of private luncheons, celebrity hob-nobbing and reserved grandstand seats await the lucky champions of Royal Olympic Greenwich. When you see the extraordinary way in which the councillors, and some of their staff, treat themselves, it's not so hard to understand why the dull slog of sorting out the schools seems a bit boring by comparison. 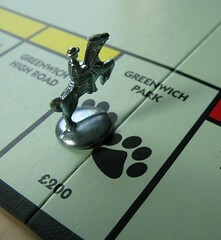 AS GREENWICH Council today prepares to rubber-stamp the planning application to close parts of Greenwich Park for up to five years - for an Olympic equestrian event lasting two weeks - we can reveal that even the park's owner, the Royal Parks Agency, has started to have reservations about this fantastically ill-defined plan. In its submission to the council, the agency calls on Locog to "reconsider the extent of the stripping of soil and grass that needs to take place," saying that "the method of reinstatement of acid grass as set out [by Locog] is not recognised by us as a tried and tested method." "We question the need to strip top-soil and grass as a general approach towards producing a cross-country course," it says. "We request that further consideration is given to minimise this measure and the resultant impact on the Park fabric and ecology." Like almost everyone else - except, no doubt, the council - the Royal Parks also seems concerned with the conspicuous lack of detail in Locog's planning application. It speaks of its "reservations" about tree works and calls on the council to require an "arboricultural impact assessment" and "full details of methods of protection of trees." The lack of such an assessment - a really basic flaw in the application - must give the lie to Locog's bland assurances that no permanent damage will be caused to any tree. How can it say that if no assessment has been done? The agency also says that the restoration of the park "will be contingent on Locog providing the necessary funds. We are assured by Locog that this will be forthcoming." Previous Locog assurances have, of course, included the assurance that the Games will only cost £2.4 billion (actual cost £9.3 billion). As the Royal Parks points out, Locog's submission "does not fully explain how the remedial work will achieve the results set out as objectives." The agency also charges Locog with "not fully explaining the intermediate period between the test event in 2011 and the main events in 2012" and "not fully mitigating the impact on birds." These criticisms are all the more significant because the Royal Parks has been, and remains, a supine supporter of the Olympic juggernaut - regularly proclaiming its complete backing for the event. As I mentioned in my column last week for the Daily Telegraph, the Royal Parks have in this way and other ways demonstrated their unfitness to be in charge of Greenwich Park, or any other park. This appears to have been recognised with proposals by the Tories to abolish the agency and bring it under the control of the Mayor of London. Another serious objection has been raised by Thames Water, which says that the development "may lead to sewage flooding" and adds that "with the information provided, Thames Water has been unable to determine the waste water infrastructure needs of this application." Thames Water further says: "The existing water supply infrastructure is currently unable to meet the additional demands for the proposed facilities." Each of these criticisms is further evidence of the fundamental lack of specific information given by Locog, something which surely undermines the planning application in its entirety. How can councillors decide on an application from which so many crucial details are omitted? Surely the time for a tree impact assessment is before the plans are passed, not after? Surely the method of the the stripping of the very soil of the park should be settled before the plans are passed, not after? Surely the finance to restore the park to its current condition should be totally nailed down before the plans are passed, not after? Surely the not unimportant question of the project's impact on SE10's sewer system should be settled before the plans are passed, not after? Much smaller imprecisions and vaguenesses in the planning application to redevelop Greenwich Market were a key reason why that was rejected by the council. Any planning authority which was doing its job properly would postpone consideration of the Olympic application until it had the actual details of what it was being asked to pass. The fury of the local community will make no difference. The rational arguments of the community will make no difference. The only people the council is listening to are Locog and its Hare Krishna-like cries that the Olympics will be "great" and "put Greenwich on the map." The plans will be passed tonight, in all their terrifying lack of precision - giving Locog effectively carte blanche to do whatever it chooses in certain areas, and giving the community no way of stopping it. Nobody, by the way, is saying that Locog intends to harm the park - but as deadlines approach, and money becomes tight, the temptation will be to do damage and cut corners, and in many areas there will be no effective way of preventing the park from being harmed, if that's what London 2012 deems necessary to get its show ready on time. Tonight's meeting will be no more than a formality to endorse a decision taken in about 2006 and clung to ever since, despite the increasingly overwhelming evidence - even now from its own supporters - of its destructiveness, pointlessness and stupidity. It will not, however, be the final word: I think you can be sure of that. WE THINK of Greenwich Council as secretive and unhelpful, but compared to the Planning Inspectorate it's a beacon of openness. The deadline is already approaching for comments on Greenwich Hospital's brazen planning appeal to be allowed to knock down the Market after all. According to an advert in this week's Greenwich Time, it is March 22nd, less than three weeks away. But go to the website of the inspectorate, which is handling the appeal, and you find the message: "We regret we are not currently publishing documents for this appeal." So I can't tell you if anything has changed about the plans or if any new dodgy claims have been put forward by the developers. A perfect example of what happens when democracy gives way to the quango state. What I have found, however, is an encouraging decision on another Greenwich Town Centre and Greenwich Hospital planning appeal - and another minor PR own goal by the Hospital. To start with the latter: they have engaged a new consultancy firm, the accurately-named Sensitive Projects, to get the appeal through. Sensitive Projects ("we advise on projects which are often controversial and unpopular") consists of David McFarlane, who was the Hospital's previous PR at another firm, and a woman called Harriet Kerr, who was a director of PPS, another outfit which specialises in getting unpopular developments through. PPS is a very interesting company. In 2007, in an investigation for my then newspaper, the Standard, and Channel 4's Dispatches, 17 minutes in, PPS was accused of using forgery, impersonation and even bugging to manipulate the planning process. I found mysterious new people who had joined a residents' association which had opposed the development - then turned the association neutral, and then as soon as the development was approved, had vanished from the scene without trace. It's a funny old game, the property business. Harriet Kerr was not involved in the projects I investigated at PPS and there is no suggestion that she acted in any way improperly while at the company, or since. But these lobbyists will still be worth keeping an eye on, I feel. My second piece of news about the market appeal is that if precedent means anything at all, we might be all right. This is not, it turns out, the first time in recent months that the Hospital have been refused planning permission by Greenwich Council, then taken it to appeal. Last year, the council turned down their bid to put new shop fronts on 2, 3 and 4 College Approach (currently laid out as house fronts) and a remodelled shop front on 5 College Approach. Last summer Greenwich Hospital appealed - but the appeal was largely refused (they did get permission for the remodelled shop front at No 5.) The inspector, Christine Thorby, said the plan would be "to the detriment of the character and appearance of the... wider historic area," conflicting with the same council planning policies as the market proposal. Now it's true that the College Approach properties are listed buildings, described by the inspector as of "very high quality," and the market buildings proposed for demolition aren't. But the decision is one more little thing weighing in the balance against the Hospital getting its ghastly Bluewater scheme past the goalie in injury time. Lewisham Council has expressed serious concerns about the controversial plan to stage the Olympic equestrian events in Greenwich Park, we can reveal. In an email obtained by greenwich.co.uk, Stuart Sharp, Lewisham's highways development manager, raises a series of pertinent "areas of concern" about the ability of the local road and rail networks to cope with the spectator and competitor influx for the Games, particularly on the day of the cross-country event. In the email to Greenwich Council, dated 18 February, Mr Sharp writes: "When does the major cross-country attraction occur - hopefully on a weekend? If it doesn't, then given the predicted 75,000-plus crowd, plus two to three thousand workforce plus competitors all arriving 90 mins or earlier before the events start at 11am means that most will be attempting to travel... during the morning peak. Similarly, the reverse pattern could occur during the evening travel peak." The day of the cross-country event, 31 July 2012, is a Tuesday. Mr Sharp says that even the Park's "smaller" events - involving between 22,700 and 55,000 people - will place enormous demands on the local transport network. He protests that the Games organisers have done "no analysis of public transport capacity to absorb the predicted [number of] people requiring to travel to and from the site." He asks: "Is there sufficient timetable, line and platform capacity to cope with the predicted numbers, particularly on weekdays? How will bus operations be affected if the bus lanes in Romney Road are used for pedestrian movement? I can't find any detail [in the plans] of park-and-ride strategy and direct coach arrival and departure arrangements. "Where are the drop-off, pick-up and coach queuing points? Where will the 200-250 coaches park after drop-off and before pick-up? The [transport plan] suggests the site off Creek Road hitherto earmarked for the Greenwich Waterfront Transit depot - surely that won't be big enough and will it still be available?" A failure to set out important plans in sufficient detail is becoming a bit of a theme with the Greenwich Olympics. We still don't know which trees will be affected by the promised "pruning" operations. We don't know the full closure schedule. We don't know where all the temporary buildings will go. We don't even know exactly what the main arena will look like! But the transport position is serious. Unlike north of the river, Greenwich is to see no transport capacity improvements (apart from a third car on the DLR.) The existing network will, in fact, be reduced in capacity by the likely creation of a competitors-only lane through the Blackwall Tunnel. As well as the visual, amenity and ecological damage to the park, and the damage to the tourist industry of seeing it closed for weeks, there now appears to be a risk of wider economic damage that the area's roads and railways will seize up. Locog's coyness on transport detail is understandable: their fear must be that Mr Sharp's questions are impossible to answer. But planning applications require detail. It was a lack of detail, as much as anything else, which doomed Greenwich Hospital's application for the market redevelopment - and that application was rather fuller than the Olympic one. As anyone who has used the area's transport network during the rush hour will know, it is essentially at capacity, sometimes beyond. Although the Games will take place during the summer holiday season - and some of the travel will be against the peak flow - it is a further example of the way in which the Olympic organisers decided this venue on the basis of pretty pictures rather than serious examination. Lewisham's borough boundary comes within a few hundred yards of the park, and Mr Sharp's email raises the fascinating possibility that the council could formally object to the application. That possibility still seems remote - but it is a real indictment of Greenwich Council's uncritical cheerleading for the Olympics that important objections are only raised by a neighbouring borough. THE HATED demolition and redevelopment of Greenwich Market could still go ahead with its owner, Greenwich Hospital, likely to appeal against the council's decision to refuse planning permission. Traders in the market have been told by Edward Dolby, the Hospital's resources director, that an appeal against the refusal is to be lodged. "He has been telling people that if they get the appeal, nothing will be demolished until January 2013," said one person familiar with the situation. The appeal has to be lodged by February 26, six months after the council's decision. Greenwich Hospital's director, Martin Sands, refused to confirm or deny last night whether the Hospital will appeal. However, official confirmation of the position is expected to be given to a meeting of market traders tomorrow. The plan would see the existing market and the shops around it demolished and replaced by a modern market, contemporary shopping precinct and 104-bedroom hotel. The hotel would rise to five storeys and would loom over the existing buildings. Its entrance would be directly on the busy one-way system. In August the plan was unanimously rejected by Greenwich's planning board, which described it as "unbalanced and detrimental," "visually intrustive," an "overdevelopment," "out of keeping with its historic surroundings," and a "low quality design" which would deliver a "poor environment" and "impact on the free flow of traffic." Any appeal would probably be heard by the Planning Inspectorate in Bristol, though there is a faint possibility the Government or the Mayor could intervene. The inspectorate decides whether to do it entirely in writing, to have a public hearing or to have a full-scale inquiry, with lawyers for each side. Since this scheme has been so controversial, it is unlikely to be dealt with in writing. As before, opponents of the scheme will be able to submit written objections and appear in person at the hearing or inquiry if they wish. The criteria on which the appeal is decided are not terribly clear, but they appear to be whether the council has acted in accordance with its own Unitary Development Plan (UDP), the definitive statement of its planning policy. According to the council, the Greenwich Market application breached no fewer than ten policies of the UDP, not to mention two items of national government planning policy guidance. It is, on the face of it, hard to see how any planning inspector could disagree with this. Take, for instance, UDP policy TC7, which states: “The Council will protect and enhance the site and setting of the Maritime Greenwich World Heritage Site…. Development within it should preserve and enhance its essential and unique character and appearance.” Indisputably, the new scheme, which looks like a bus station, does not do this. Policy TC8 states that any new development anywhere in the town centre must “demonstrate the highest standards in design, landscaping, detailing, and finishing.” Again, the market scheme seems quite clearly not of the highest standards. The Hospital may argue that the council's planning officers recommended acceptance of the scheme, though how those officers managed to reconcile it with their own policy is still unclear. Even if the Hospital wins its case, however, economics may have turned against the scheme. The redevelopment relies on the new hotel for its viability. But since last year, another major hotel scheme has been approved in the area - a new 150-roomer on Greenwich High Road. Frank Dowling's Inc Group is also sitting on planning permission to turn the upper floors of the Trafalgar Tavern into a 16-bedroom hotel. There is also a planning application, which seems likely to be granted, for a 450-room hotel at the 02. All this new hotel development is, of course, in addition to the existing Ibis, Novotel and Holiday Inn behemoths which have been constructed locally over the last fifteen years. The real risk for the Hospital is that even if they do get their planning permission, the hotel market in SE10 will already be too saturated for anyone to invest. The chances of saving the market seem higher, therefore, than at this time last year. Nonetheless, if an appeal is launched, there will need to be another campaign. And how depressing it will be to see this further evidence of Greenwich Hospital's arrogance, pigheadedness and refusal to engage with the community it claims to serve. UPDATE: At the meeting with traders tonight, Greenwich Hospital confirmed that it would launch an appeal. The plan will be the same as the one that was rejected by councillors last year. A press release is expected to be issued on Friday. - the chief engineer, Professor Peter Mason, has resigned, saying the project will damage the ship and should be stopped. - the project has run massively late and overbudget, with its main funder cutting off payments for most of last year amid deep concerns about its management and financial controls. - the Cutty Sark Trust has issued a series of misleading statements about progress on the project. But guesswork and off-the-record hints aren't enough, nobody would talk on the record, Mason was still in place at the time, other stories intervened. The result is that on Thursday of last week, before I could publish, a deal had been stitched together to throw another £11 million of public money at the fiasco and proclaim it "rescued." So hastily was this deal done - maybe they knew the press was sniffing round - that it was actually announced by the Department for Culture, Media and Sport before the biggest of the funders, Greenwich Council, had even agreed to pay its share. The press release was issued on Thursday morning. The relevant council meeting did not even begin until 2pm the same day. The meeting was only even put on the council calendar the night before, giving no-one the time to consider the proposals or to object. Don't get me wrong. I love the Cutty Sark, I badly want to see it restored and I would be happy to spend even the colossal sum of £46 million if it achieves that end. But as its hurried and secretive birth suggests, the latest injection of funding is not going to "rescue" the Cutty Sark. It is going to prop up a fundamentally flawed scheme, run by a fundamentally flawed group of people, which could end up destroying the ship altogether. The scheme's key flaw is its desire to raise the ship eleven feet off the ground, in order to fit a lucrative, glassed-over function space underneath. Steel legs, punched through the hull, would hold it in place. The supposed justification is to better show off the ship's lines, but the Cutty Sark Trust gave a hint of its true motive when, in 2008, it told the Telegraph magazine that "the ultimate aim is to transform [the ship] into a corporate hospitality venue to rival Tate Modern." The raising, known as the "iconic scheme," means that the lower half of the ship's sides will appear to be swathed in glass. The objection is not just that this will look awful, though it will. Steffan Meyric Hughes, of Classic Boat magazine, says it is "undignified" and makes the Cutty Sark look like a "fairground attraction." No, the main objection is, in Mason's words, that "the lifting support system will do damage to the fabric of the ship. It will have quite an impact on it. They should not lift up the ship. I've turned against that after what I've seen and I'm not happy." Computer simulations were what turned Mason against the plan - simulations that showed the ship would be put at risk. Researching the issue more, speaking to some experts and reading the words of others, I could not find a single person in the world of classic ship restoration who believes the plan presently being followed by the Cutty Sark Trust is anything other than a ghastly mistake. Julian Harrap, the architect behind the restoration of Brunel's SS Great Britain, said: "They are actually putting the artifact itself at risk, and that's a fundamental issue." The director of National Historic Ships, Martyn Heighton, said: "This is an extremely delicate object and you don't try out something new on the Cutty Sark." The Trust itself defends its scheme - but it is no longer trust-worthy. As my Telegraph piece catalogues, the Cutty Sark Trust has over the past two years repeatedly misled the press, saying for instance that the scheme was proceeding smoothly when funding had in fact been cut off and most work stopped, or claiming that the shortfall was only £5 million at a time when they knew it was at least 50% more. We can no longer take their assurances seriously. Nor can we put much faith in their project-management skills. Even excluding delays caused by the fire in May 2007, the claimed reopening date has also been put back, by my count, at least five times. The original post-fire opening date, announced in June 2008, was March 2010. Then it slipped to summer 2010, then the end of 2010, then spring 2011. In last week's press release a new reopening date of "in time for the Olympics" (July 2012) was given, itself a further postponement of up to18 months. But in the space of just six days, even that deadline has shifted once more to the right. This week's issue of Greenwich Council's propaganda organ, Greenwich Time, states merely that the Cutty Sark "could be restored in time for the 2012 Games." You won't read any of the other facts outlined above in Greenwich Time, of course. There's a concerted outbreak of emperor's new clothes at work here, with even the Tory opposition on the council nodding the £7 million through. But for a council which is proposing cuts of £26 million next year, £7m is a huge amount of money - made up of £3 million from general funds, £2 million of section 106 "planning gain" cash which could have been used on something else, and £2 million purloined from the Cutty Sark Gardens landscaping works. If they actually want to see the Cutty Sark restored before the Olympics, the council, and the other funders, should make their bailout conditional on a complete clear-out of the Cutty Sark Trust, and on the scrapping of the crappy "iconic" scheme, with its absurd attempt to make an historic artifact into a contemporary icon. Doing a straightforward, boring restoration would be cheaper, simpler and less risky. But yes, you guessed it - Greenwich has actually made its £7 million conditional on exactly the opposite, saying it will not pay unless the "iconic" scheme goes ahead. The serious risk, therefore, is that they are throwing good money after bad. This really could end up another iconic Greenwich embarrassment and a British heritage tragedy. It's tunnel week in Greenwich. Many people are just finding out about Transport for London's plans to close the Blackwall Tunnel to all southbound traffic between 9pm and 5am, five days a week, for the next three years. We are already half-way through the last uninterrupted week there'll be until 2013. The closures start this coming Monday and the tunnel will henceforward be closed southbound after 9pm every night except Friday and Saturday. Anger is whipping round the web. A meeting has been called on February 12 (see this Facebook site) to discuss some form of protest. As someone on the site says, "the bloke in Shawshank Redemption didn't take that long to sort his tunnel." Does it really take 6,240 hours to fit "new safety, lighting and communications systems"? Surely not. Couldn't they keep both directions open by having a contraflow in the remaining bore, without HGVs if they're worried about a collision? Of course they could, but they won't. Boris Johnson told me a couple of weeks ago that his TfL officers simply refused point-blank to implement his election manifesto commitment to restore the old tidal flow arrangement in the tunnel during rush hours. They claimed that it was not safe. The contraflow during closure has no doubt been scuppered on the same pretext, even though that too was the preferred solution during tunnel works for many years. Safety seems unlikely to be TfL's main motivation, since it was perfectly happy to allow contraflows for many years and since, as far as I know, no serious accident ever occurred. Nor was the ending of the arrangement the result of any considered or empirically studied process - it was just stopped one day, and that was that. The main reason is that it is another part of "Transport for Livingstone's" historic and continuing jihad against the motorist. You should be going by Tube instead, scum! No, hold on - the Jubilee Line's closed quite a lot of the time too, isn't it? Oh well, you'd better cycle then, through the foot tunnel. Not a chance, buster. That, too, will be closed at night (and possibly during the day) for months this year and next as Greenwich Council carries out yet another tiresome, unnecessary and frankly offensive piece of Olympic-related window-dressing. We still don't have a clear timetable for the closures, although we've been demanding one for months. But, in the second tunnel-related story of the week, the plans for the refurb have been published - so we do have an idea of what the all-singing, all-dancing, refurbished tunnels are going to look like. "Our approach to the new installations has been bold," say the designers, "meeting our clients' challenge to bring the tunnels into the 21st century." The design, they say, "aims at a 'supermodern' aesthetic... a contemporary aesthetic that acts as a counterpart to the old" and will make "use of the tunnels an event in itself." Oh, God. One of the nicest things, I think, about the foot tunnels is that they are not supermodern or contemporary - but a little breath of Edwardian Britain, from the unflashy white tiling to the wood-panelled lifts. The lift panelling will be kept, it turns out, but will be placed behind glass screens on stainless steel fixings, with a stainless steel railing round the car at waist height and "LED feature lighting to highlight the panelling." All the hallmarks, in other words, of the 538 other clueless, over-buffed heritage sterilifications there have been in London over the last ten years. The glass panels in the domes on at either end will be stripped out and replaced with... almost identical glass panels, only these ones (wait for it), these ones will be aligned "in clearer association with the meridian, with each segment representing 30 minutes of the time dial." The claimed objectives of the refurb include "improved safety" and a "more welcoming environment." This will no doubt be why those dreary heritage features so totally irrelevant to safety and welcoming, the lift attendants, are to be scrapped. As the document admits, "the lift cars will no longer be manned." At tunnel level, the tiling stays, but there is a "central services spine... designed to emanate a serene glow." The lighting will "allow colour and animation to be subtly manipulated to create different moods at different times of the day," will "wash a feature colour on the walls," and will provide "the infrastructure for contemporary art installations so that the tunnels can contribute to cultural life in the locality." The brochure is full of lower-case, marketing-man's promises about "invitation, exploration and exhilaration." Let us pause briefly here, to collect our thoughts and grind our teeth. Since this scheme was announced, life in Britain has changed. The country faces a public spending deficit of £175 billion; a deficit that will require painful cuts to things we actually value. Does anyone really think that, in this new Britain, spending £11.5 million to damage the aesthetic of the tunnels, get rid of the staff and install "mood lighting" should be a priority? The tunnel is not a "cultural installation," but a transport one, a job (subject to simple mechanical repairs of the lifts) that it does pretty well at the moment. As for my "mood," it would be much improved if basic infrastructure was just allowed to carry on doing its job. I do not want my use of the tunnels to be an "an event in itself," particularly since the most regular event over the next two years will be closure. You want to see "exhilaration?" Scrap this idiotic scheme, and all the other woeful 2012 nonsense. Stop meddling, and just leave us alone. TODAY is the official deadline to object to the stupidest planning application since somebody tried to build a life-sized copy of Buckingham Palace out of processed cheese. The Olympics want to come to Greenwich Park, and aren't we all thrilled? No, actually: of the 286 responses received by the council so far, 265 - or 92.7 per cent - are against. That won't be the final figure - there are some big wodges of objections still to be registered - and in practice you can carry on submitting objections until just before the planning meeting, which I strongly recommend. Over the next few weeks, as councillors look through the application, I'll be unpicking some of its key weaknesses. Let us start this week with London 2012 (Locog)'s legal obligation (under the Environmental Impact Assessment Regulations) to assess alternative sites and explain why Greenwich Park is better. A potentially tricky task, you might think, given that (a) the alternatives are spacious existing equestrian courses, used to hosting tens of thousands of spectators and (b) Greenwich Park is a cramped, totally virgin site, needing to be transformed from scratch, that has never handled such an event in its life. The assessment is given in chapter 4 of Locog's environmental statement, the key planning document (downloadable from the council website). The criteria include the ability to use "existing facilities where possible;" the ability to "provide facilities which meet International Federation and IOC standards;" the ready availability of public transport, the need to ensure "no potentially significant impact on amenity for local residents" and the need to avoid "potentially significant environmental constraints." That's clear enough, then - Windsor Great Park it is! As the document admits, Windsor "has existing facilities which could be used... there are public transport services... approximately 0.3 miles from the venue... there would be no temporary loss of public amenity." The stunning fact is that even in Locog's own assessment, Windsor scores higher than Greenwich Park on facilities and the ability to host the contest, and the same on all the other criteria I've mentioned. And the reality, of course, is that Windsor outscores Greenwich on most of those other criteria too. Completely dishonestly, the Locog assessment scores Windsor and Greenwich the same for "impact on amenity for local residents." But while large parts of Greenwich Park will be closed for eight months, and smaller parts for five years, no local resident in Windsor would lose a single inch of park for so much as a single day if the Olympics were held there. As the document itself admits, the Windsor site which would be used for the Games "is not currently open to the public." Furthermore, the number of local residents around the Windsor site, though not nil, is vastly lower than the number of people living around Greenwich Park, and the traffic problems the event would cause in Windsor are far lower than in Greenwich. Equally dishonestly, Windsor and Greenwich are given the same score for "environmental constraints." But they would not have to chop bits off any trees to put in a cross-country course at Windsor, or level any ground to build a showjumping arena. There is, admittedly, one criterion I haven't mentioned on which Greenwich scores higher than Windsor - that of "close proximity to the Olympic Park." The sole, slender thread justifying the despoilation of Greenwich is the mantra of a "compact Games" with riders able to live in the Olympic village and be "competitors, not commuters." But this is simply not a good enough reason to ignore the advantages of Windsor. Most riders will, in any case, not live in the Olympic village - they will stay with their horses; and since Greenwich Park is too small to stable them all, many are likely to be widely dispersed across south London. Even the Olympic village is a 25-minute commute away from Greenwich Park. The planning application predicts there will be 35,000 competitor vehicle movements to the Park during Games time - also suggesting that there will be a certain amount of commuting going on. The fact is that the riders could stay much closer to their competition venue in Windsor than in Greenwich. Royal Holloway College is five minutes' drive from Windsor Great Park - and, contrary to another dishonest claim in the planning application, there's plenty of room. This year’s modern pentathlon World Championships - a “class A” event equivalent to the Olympics - are being held in the athletics stadium at Crystal Palace at a total cost to the taxpayer (for all five events, not just the riding) of £660,000. They could put the horse bits of the pentathlon there, or in The Valley - or indeed in a big enough back garden. In short, Locog is asking for planning permission for a venue which is not just destructive, but which even they concede is inferior to the alternatives.